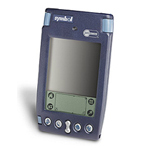 Easily capture real-time data and deliver on-the-go productivity with Symbol’s mobile computers. 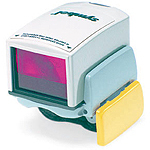 Capture and exchange data according to your specific business demands with the versatility of Symbol’s mobile computing products. 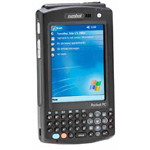 From rugged industrial-class devices able to stand up to tough conditions to enterprise digital assistants used by managers to shopping systems used by consumers, Symbol mobile computers increase individual productivity and give you ongoing, real-time insights into your operations. 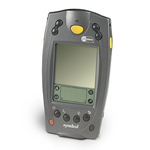 Symbol’s reputation for quality, reliability and choice has made Symbol mobile computers the foundation for enterprise mobility for businesses worldwide. 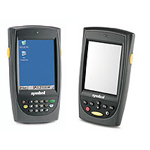 With Symbol mobile computers you'll track inventory more efficiently and accurately, manage assembly line production more effectively, improve shipment accuracy and speed product returns — even in harsh, dirty or extreme environments. 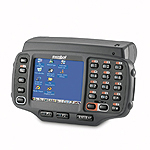 Our mobile computers, together with our bar code scanners, radio frequency identification (RFID) solutions, wireless infrastructure, industry-leading partner applications and management software products, provide the foundation you need to become an organization on the move. Because all parts of the solution work together — and with your other networks and information systems — you are able to cost-effectively build and adapt your mobile enterprise as your business grows and changes. 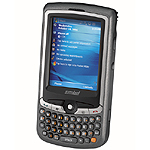 Deliver real-time enterprise information via durable handheld mobile computers to support the decisions of managers and executives. 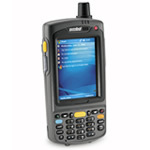 Gain greater visibility into your operations with superior data collection under demanding conditions using rugged mobile computers. 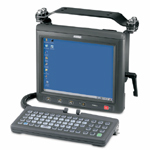 Looking for an exceptionally compact and rugged mobile computer-but want to avoid excess bulk and weight? 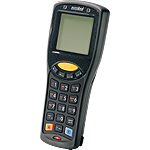 Dolphin 7000 Series devices offer you the perfect choice. 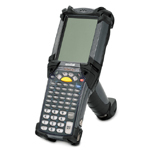 True industrial-grade solutions that are lightweight and easy to use, they're built to endure the rigors of real-world use. 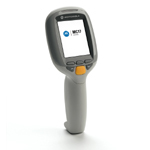 They offer you multiple keypad options, the performance and versatility of Adaptus® Imaging Technology 5.0, plus an extended battery life to enhance the productivity of your users. 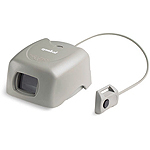 It all adds up to a low total cost of ownership you'll appreciate for many years to come. 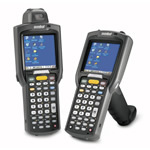 Dolphin 9000 Series mobile computers bring you no-compromises durability and versatility in a full industrial Portable Data Terminal. 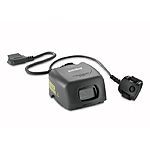 Users will appreciate the sleek, lightweight and ergonomic design-and the ability to go more than a full work shift without changing batteries. 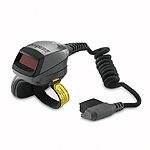 Multiple integrated communication technologies keep your mobile workforce connected from anywhere, while the Adaptus® Imaging Technology 5.0 platform enables workers to do more: read all bar codes, capture signatures and take digital images, all with a single device.